Another day of garden bioblitz. Seven frogs seen in our tiny pond all at once. 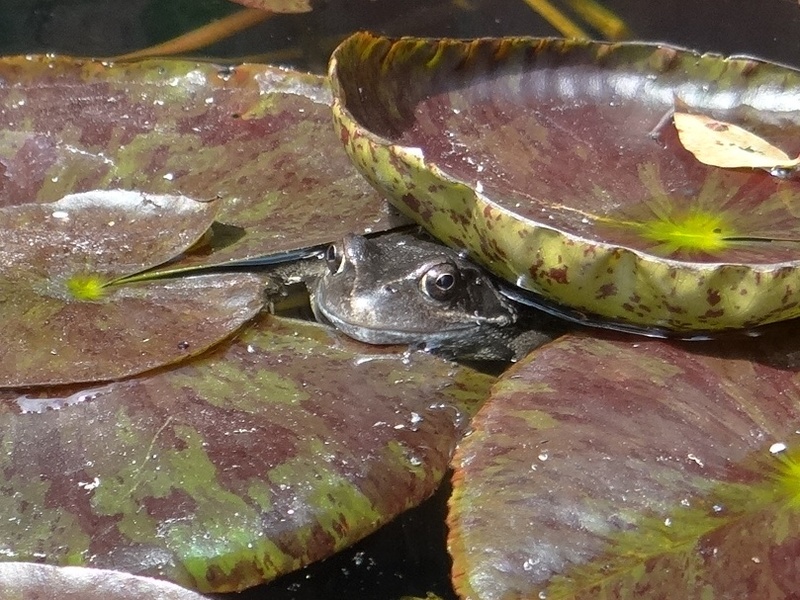 Here’s one peeping out under a lily pad. I decided to cycle today, as my foot still feels a bit bruised from all the jumping in the Jillian Michaels shred! About 40 minutes along country lanes, seeing hawthorn, cow parsley, buttercups and red campion in flower, and I spotted an Orange-tip and two Brimstone butterflies too. Lovely. I didn’t have my camera with me though. Cycled just over 10 km in 40 minutes. It was lovely in the sunshine. 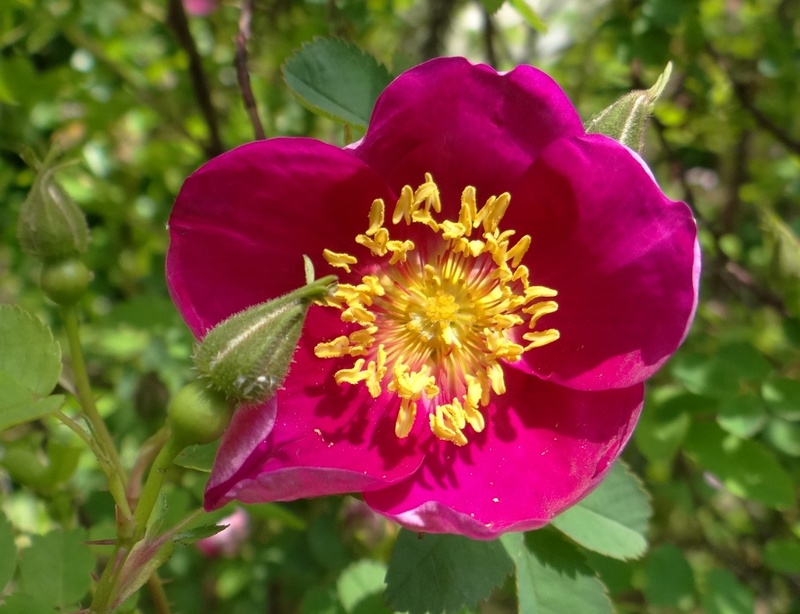 This Burnet Rose (Rosa spinosissima or Rosa pimpinellifolia) is in full flower in our garden and is beautifully scented. Later on it has black hips. Categories: Uncategorized | Tags: bioblitz, countryside, cycling, frog, garden bioblitz, rose | Permalink.